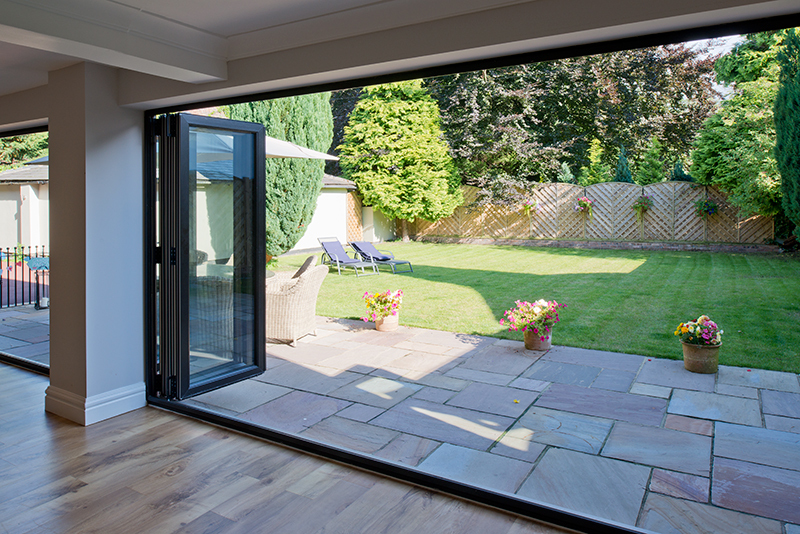 Truly bring the outdoors in with our bi-fold doors, which make a beautiful feature of the transition between home and garden. Whether you wish to open your kitchen to a patio dining area, or your lounge to a terrace, our bi-fold doors provide the solution that’s right for you – and your home. 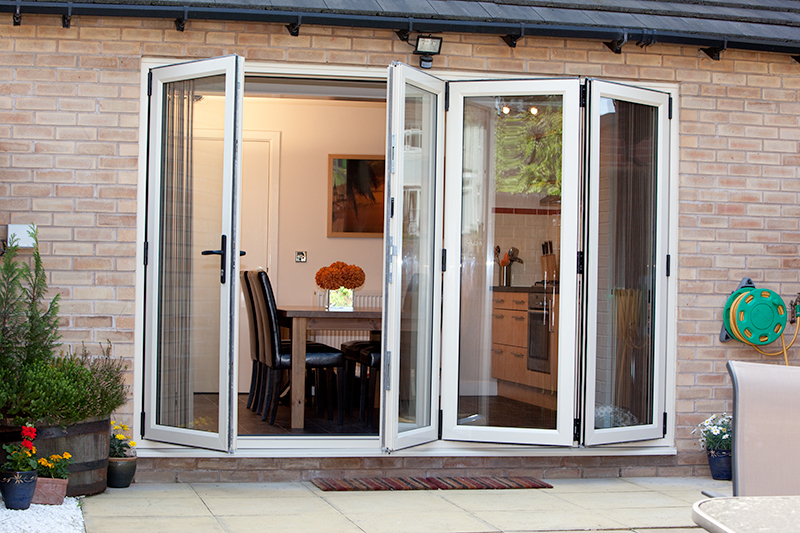 With ultra-slim frames and clean, sleek lines, the doors deliver on every front, providing more space for your family to grow, more comfort for your to live your life – and the knowledge that your safety is assured at all times. 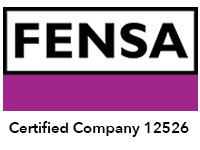 Our door system is the only one of any material type (Timber, Aluminium, PVC-U) to have British Board of Agrement (BBA) certification, for your peace of mind. 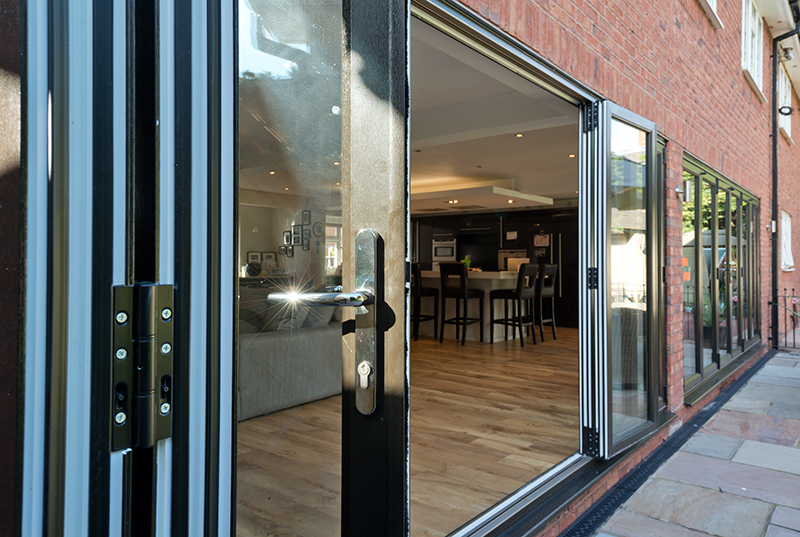 User-friendly D-handles so doors fold back flat, allowing you to enjoy an unobstructed view of your patio or garden. Groundbreaking, ultra-slim design coupled with expansive glazed areas to maximise natural light. 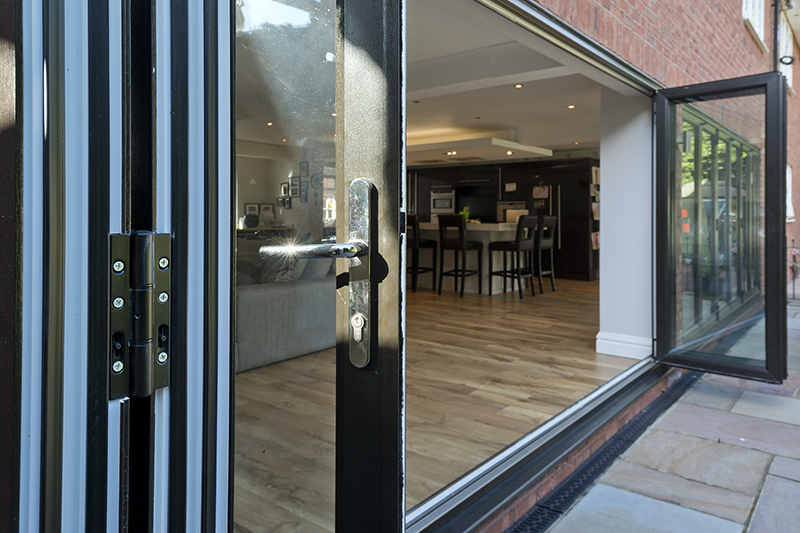 Reassuring safety features, such as a discreet lever on the D-handle which means the security shoot-bolts can never engage while the door is open, preventing damage to the door or your carpet, timber or tiled flooring. 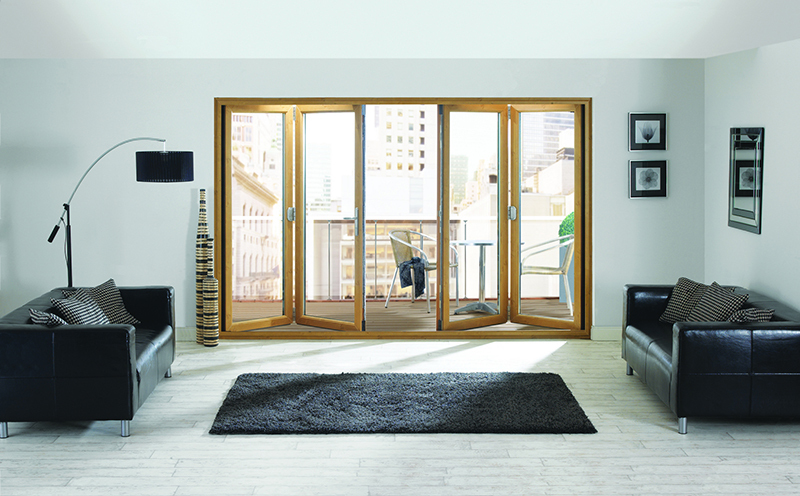 A beautiful variety of frame colours – eleven tones mean there’s a door for every mood board. 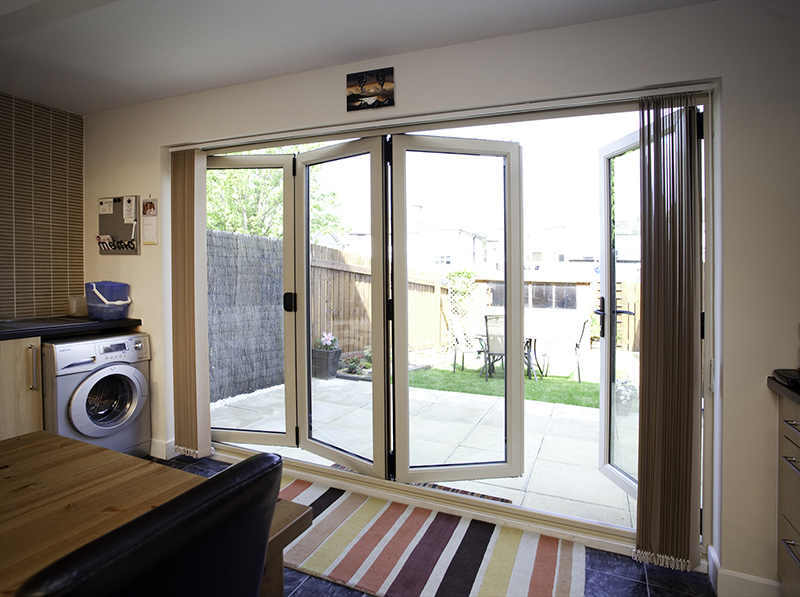 Versatile fitting options, with bespoke sizing to suit your chosen setting. 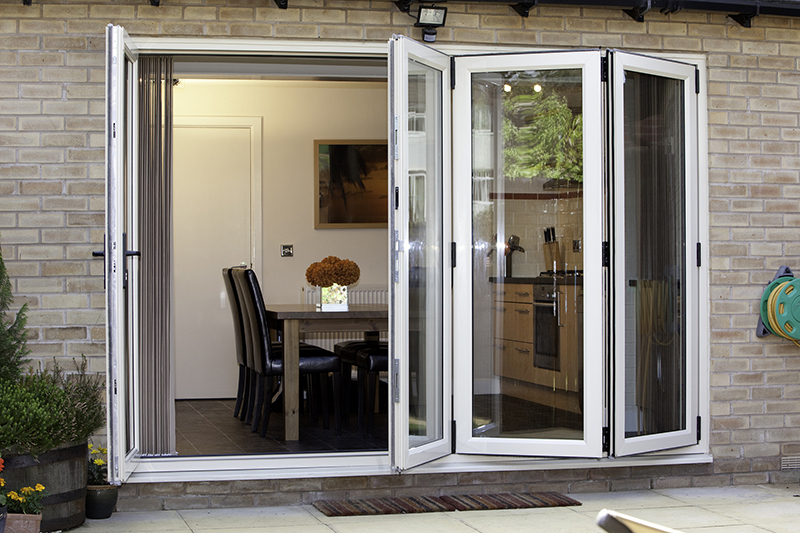 Straightforward operation, with a built-in four-roller aluminium track that delivers effortless opening and closing. 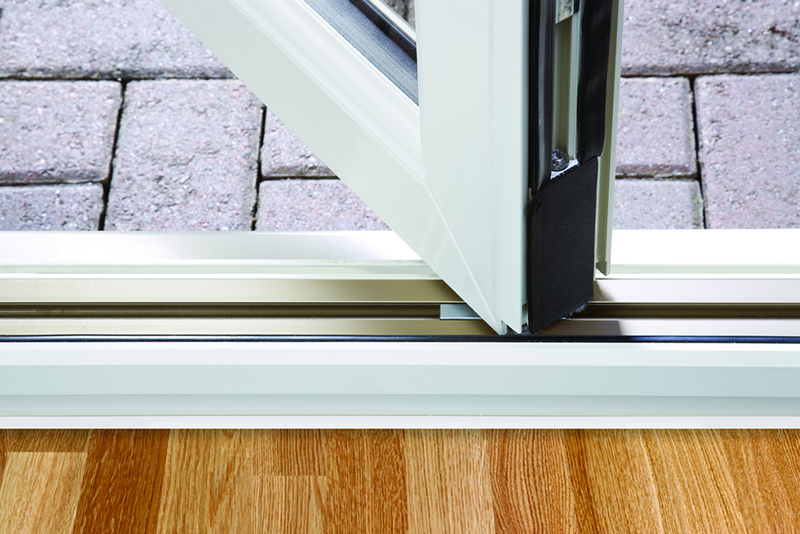 Triple weather seals that prevent draughts and deliver outstanding insulation. 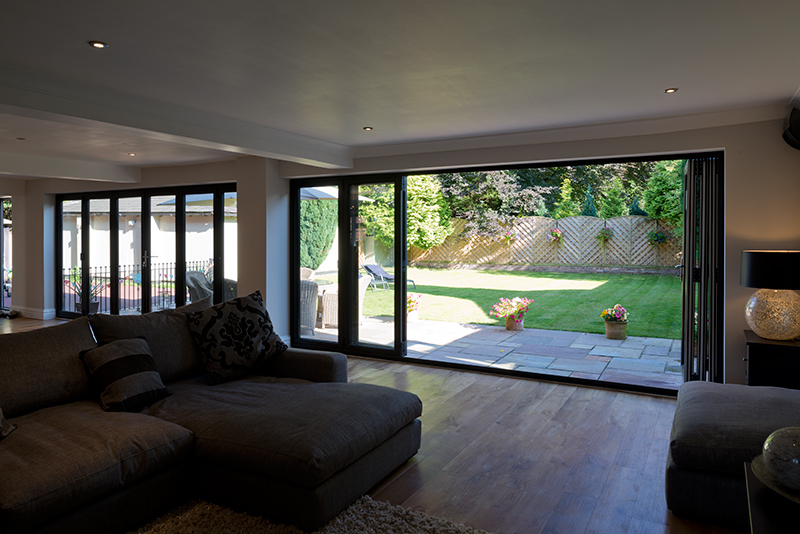 Download the PVC-U Bifold Product Specification. 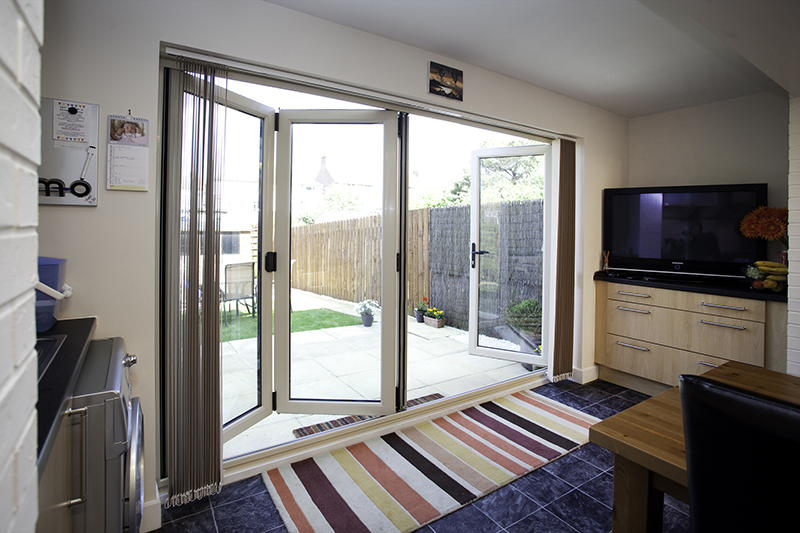 PVC-U bi-fold doors enhance the appearance of your property as well as improving its energy efficiency and security. 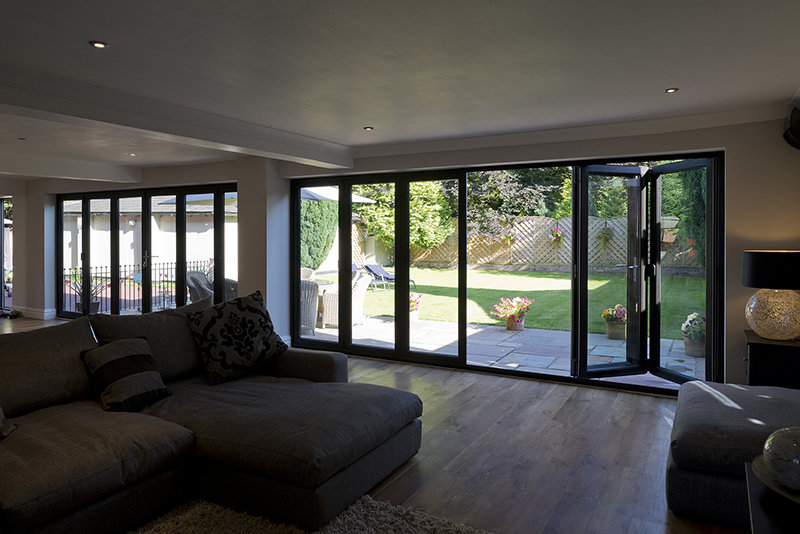 The doors conceal anti-jemmy pins to prevent forced entry, meaning you can relax and focus on the doors’ outstanding optimisation of light, knowing they are helping keep your family safe and sound. 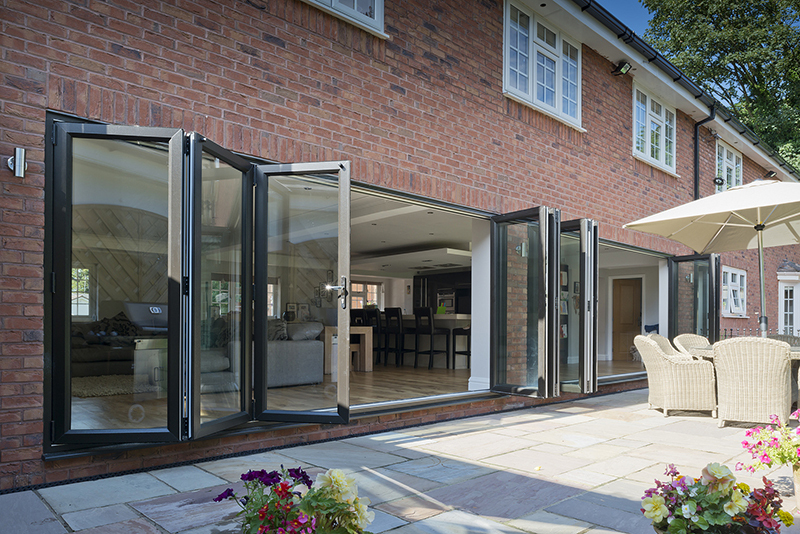 This contemporary style of the doors combines with multiple opening options, so you can adapt your door to fit your home and garden perfectly.